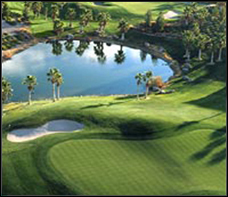 Rhodes Ranch Golf Club is tucked in the southwest corner of the Las Vegas Valley and provides a well-maintained and enjoyable golf course that won’t break the bank. 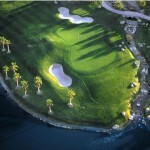 The golf course features hundreds of palm trees, many of which line the fairways, and strategically placed water hazards. Adding to the challenge of the golf course are hundreds of bunkers that put accurate ball striking at a premium. These features make Rhodes Ranch challenging, but the course remains relatively player friendly overall. Wide fairways and very “fair” greens enable players who are on their game to shoot solid scores. The golf course also provides beautiful views of the neighboring mountains. 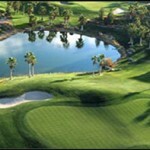 Book Rhodes Ranch Golf Club Now!